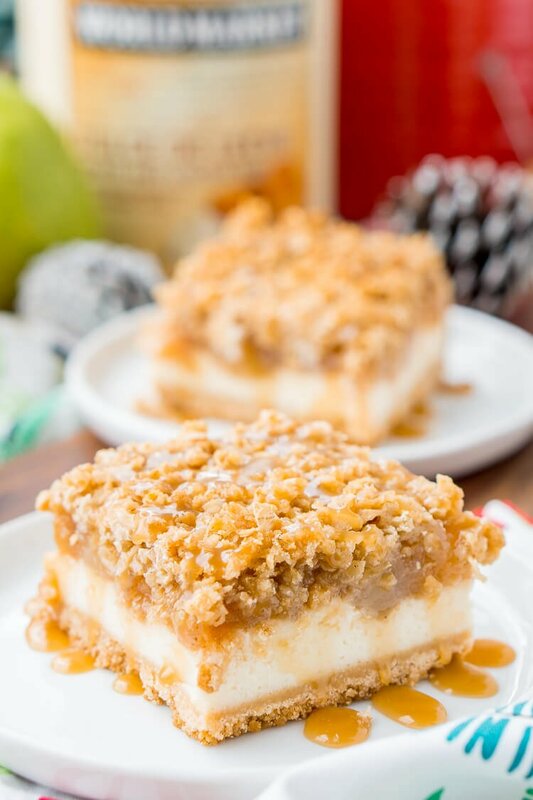 These Caramel Pear Cheesecake Bars are inspired by “a partridge in a pear tree” from the classic holiday song “12 Days of Christmas.” These decadent layered bars represent traditions old and new, and are a perfect dessert for sharing this holiday season! I can’t believe that Thanksgiving is behind us and Christmas preparations are in full swing! This month is all about family, Christmas baking, and celebrating the best of the season. And this year I’m especially excited to be teaming up with my friends at Cost Plus World Market for their 12 Days of Christmas campaign! 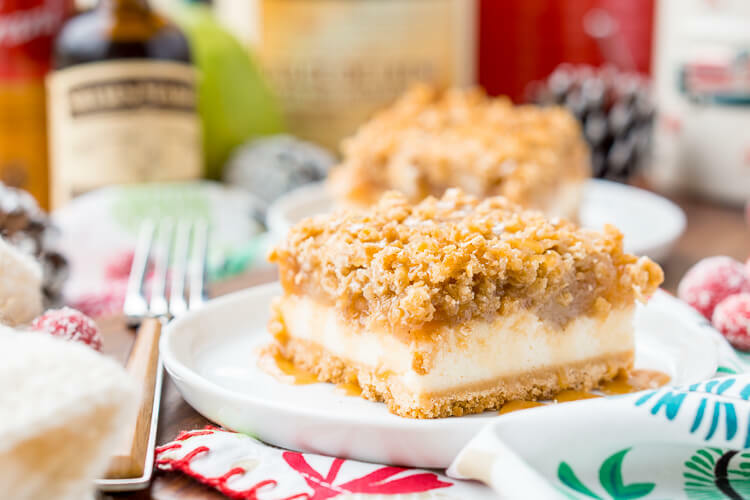 I was tasked with A Partridge in a Pear Tree, the first day in the song and of course, my inspiration for this post and recipe came from the pears… I promise, no partridges were harmed in the making of these delightful Caramel Pear Cheesecake Bars! I got to use so many amazing World Market baking products for this campaign and you can find them all through the link to the recipe below! I’m especially in love with the alpine linen collection – it’s like modern and retro united in holiday perfection! And the Holiday Bus Mugs might be my new favorite for cocoa! 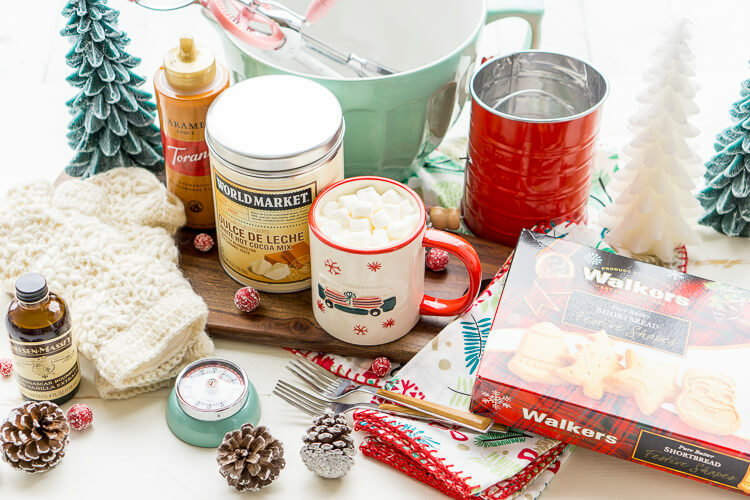 Speaking of World Market, have you entered the Great Holiday Baking Sweepstakes yet??? 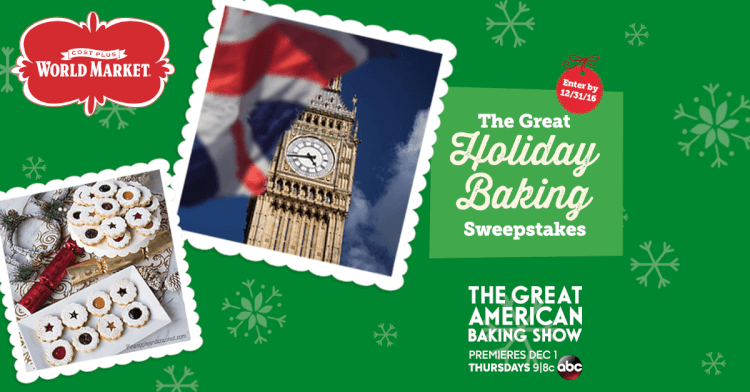 You could win the Grand Prize Package: A trip for 2 to London, England (including airfare, accommodations), Pastry Class, Guided Food Tour and More, Plus, $1,000 World Market gift card! Three First Prize Winners will receive a $500 World Market gift card. The sweepstakes ends 12/31/16 and you can learn more here. I feel like this time of year we’re up to our eyeballs in peppermint, pumpkin, and apples, and it’s time to highlight a new flavor that’s perfect for the holiday, PEARS! 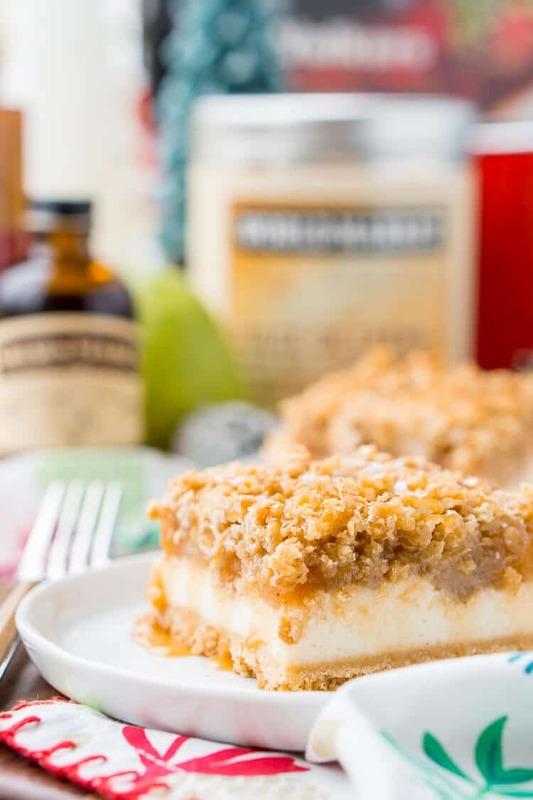 I’ve already made two batches of this delicious recipe in the last two weeks, so you can be assured it’s a real winner! 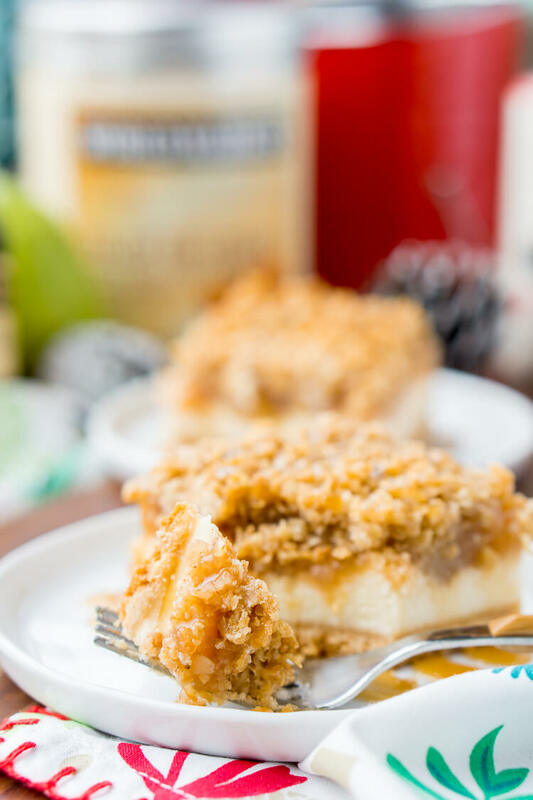 Make sure to swing by the Cost Plus World Market blog to grab the recipe! I need to bake with pears more! These bars look so wonderful!